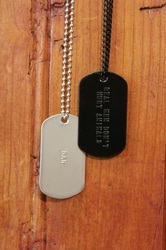 Finally, an ID that actually says something about you. 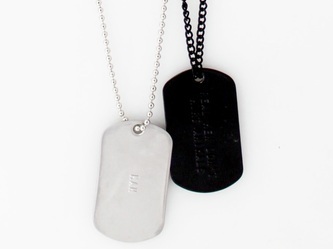 Choose between silver/silver, black/ black, or black/silver. Shorter chain is 30.5", longer chain is 32.5". 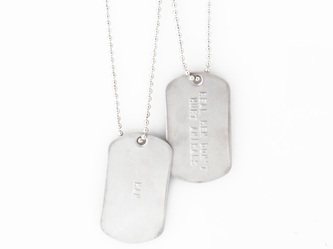 Halve in order to get a decent idea of where they'll fall on your chest. Identity. 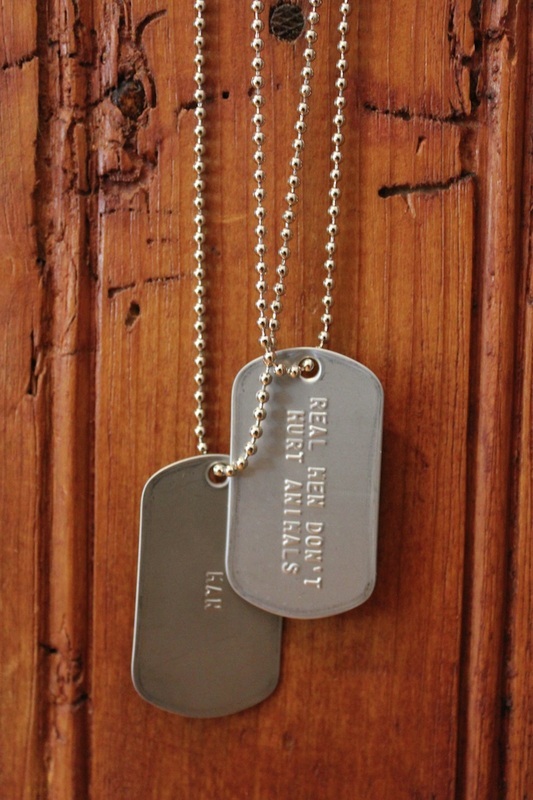 That's what dog tags are about. At least, that's the idea. 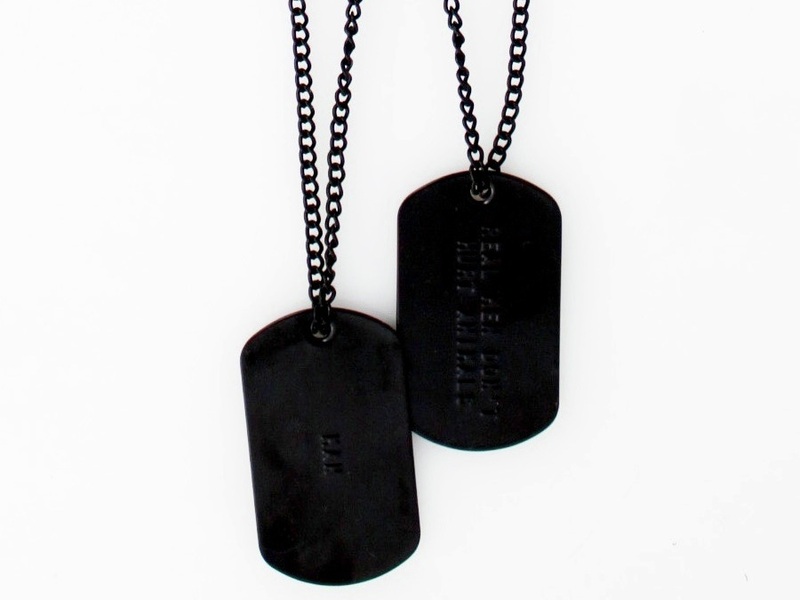 But traditional military tags just mark you as a cog in a machine; and the typical stylized tags you see from various fashion labels don't have any meaning at all. Neither says anything about the principles you stand for -- the things that really define you. 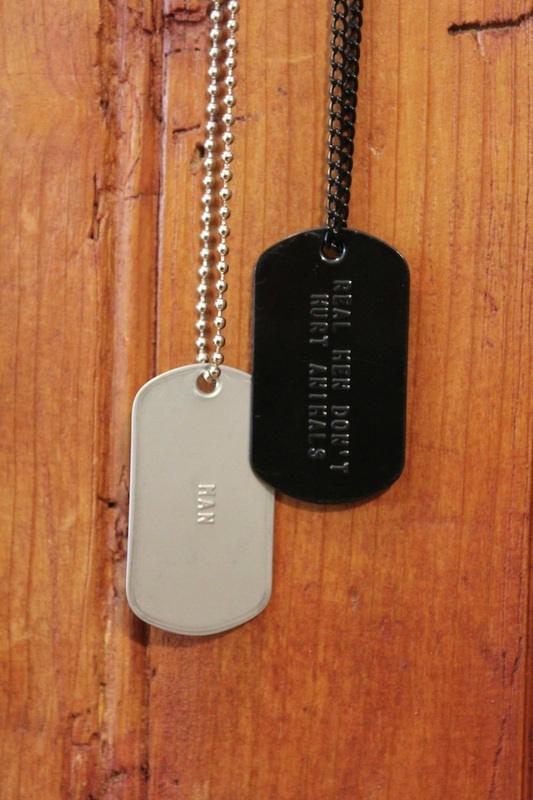 We decided to take authentic U.S. military-grade dog tags and give them some higher meaning. 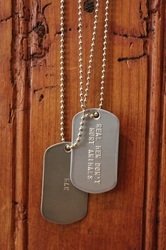 The first tag says: Real men don't hurt animals. The second says what you are: Man. 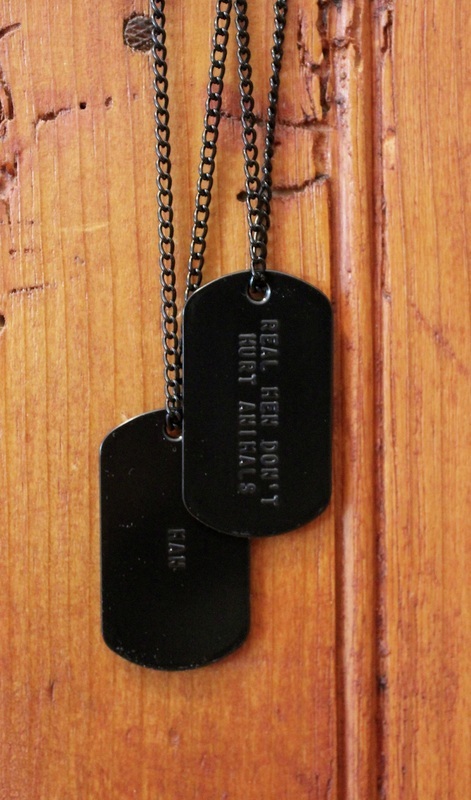 The photos don't quite do it justice, but trust me -- they look great and are quite legible in person. Available in three ways -- silver/silver, black/black, or black/silver -- they're a reminder for you and a sign to others of your righteous identity. What you really are.